Ever wondered what it’s like to be a millionaire? Well now’s your chance! Mega Fortune Slots has 3 progressive jackpots, the highest going up to £3.5 Million! 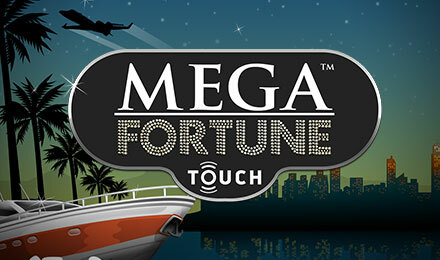 Mega Fortune is a lavish online slot game with loads of exhilarating features! Spinning 3 or more Champagne Scatters will trigger your FREE spins, whilst spinning the Yacht Wild will help you complete a winning line. There’s also a Bonus Symbol, which will grant you a glamorous jackpot or loads of coins. But that’s not all… Mega Fortune Slots features 3 progressive jackpots, the highest one going up to £3.5 Million! Spin to win and start living the millionaire lifestyle today!